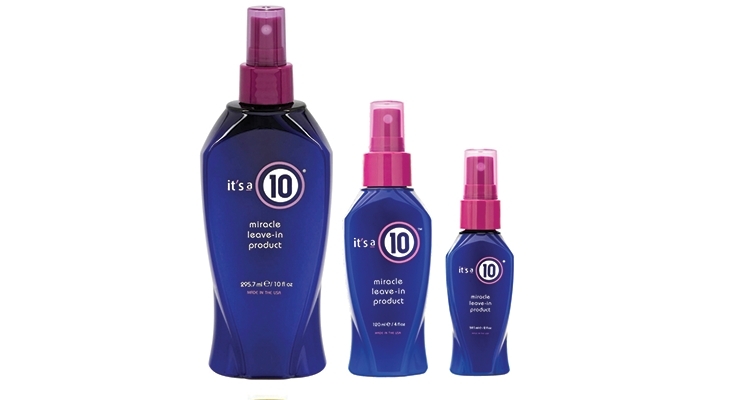 It’s a 10 Haircare sells all its products in three sizes, and the 2-oz. travel size bottle is a replica of the full-size one. Arcade’s sampler for the recent launch of Beautyblender’s Bounce foundation. Livcer’s sample card for Givenchy Le Rouge Mat lipstick has 3 colors and a brush. 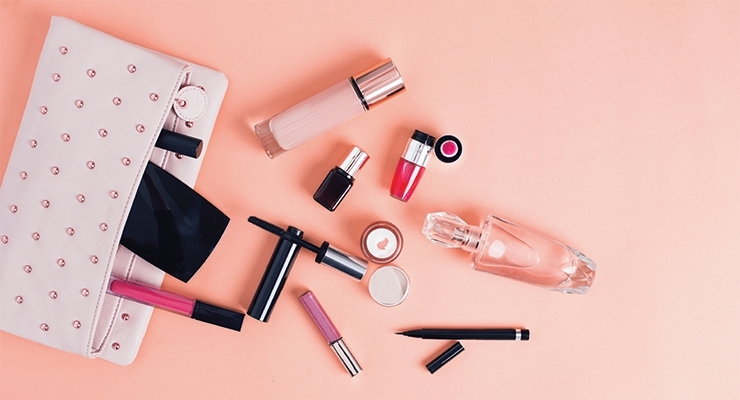 Beauty companies use sample packaging to entice consumers to try a new product during a launch—or to switch brands. 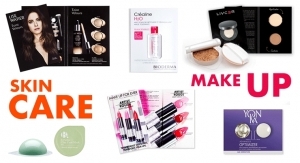 Many consumers, however, use deluxe samples regularly, as well as travel “minis,” which are convenient to carry around. Even the smallest trial-size packages, such as packettes, sachets, and vials, are an important marketing tool, especially for e-commerce brands. 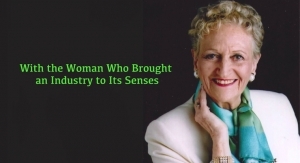 “The consumer needs to see a product, touch it, and smell it. For this reason, sampling—in any format—is a very effective sales tool, especially for e-commerce brands,” says Mark K. O’Malley, president/CEO, Paket Corporation. 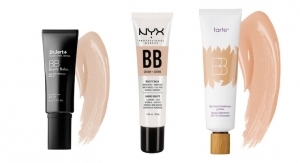 Many beauty brands use samples in sophisticated designs, with graphics and/or bottle shapes that mimic the look of the product’s full-size package. They can be other formats as well, such as an oversized card with several thermoform blisters that contain a variety of makeup colors. Deluxe samples and minis often include useful features, such as a lip gloss wand or mascara brush to provide the same application experience as using the full-size product. Even though these are larger than most of the smallest types of sample packages, deluxe samples usually aren’t sold as stand-alone products, and they’re not usually given away for free, not in unlimited quantities, at least. 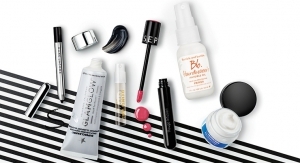 Sephora shoppers can “buy” them with points, and they are included in many beauty box subscriptions. Travel size packages, however, are usually slightly larger, and often look like minis—tiny versions of a product’s full-size bottle or tube. This type of sample is always sold, either as a stand-alone item or in travel sets. They contain up to 2 oz., which is the amount of product allowed in a carry-on bag on a flight. Many hair care brands offer travel sizes and sets. 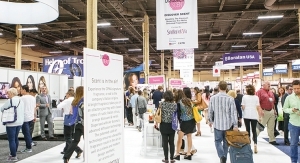 “Ulta and Sephora both have travel and mini product categories on their websites now,” says Jaimee Given, market development manager, NA Beauty, Aptar Beauty + Home. “Amazon has also recently expanded into sampling, and allows consumers to buy and try a deluxe sample size product. Shoppers are reimbursed with a discount on the full-size product,” adds Given. Sampling, no matter what type, will allow a consumer to try a new product at minimal cost. “It is a way for a brand to gain a larger customer base,” explains Given. “We are seeing a growing demand by beauty brands for both travel sizes and deluxe samplers,” she adds. Design details matter, just as much as functionality. 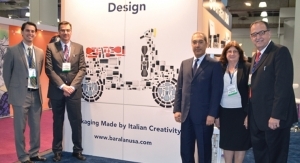 “Packaging and design play a very important role when it comes to developing a sample. These elements can connect with the consumer, enhance the user experience, and set a product apart from the competition. 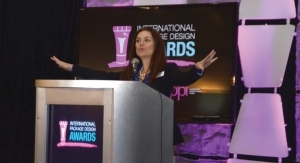 A sample’s design needs to visually communicate the nature of the product,” says Arcade’s Bernardone. “And in today’s digital world of influencers and the social savvy consumer, picture worthy, Instagrammable packaging is a must,” she says. Some of Klocke’s beauty customers print a sweepstakes entry on the sample card, or “before” and “after” photos. “These details will enhance a sample or unit-dose package,” says Gabilanes. 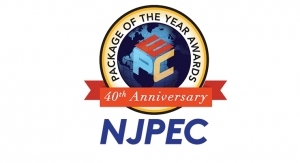 Identipak says it is most known for its die-cut sachets and packettes. 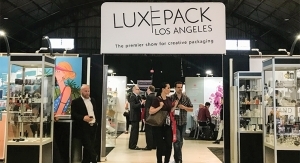 “We have been offering these for a long time—and we are still going strong with these orders for die-cut sachets, which can bring a brand ‘to life.’ The consumer appreciates the brand recognition in a sampler, when they are searching for the products that they’ve tried and love,” says Michelle Garrett, marketing director, Identipak. 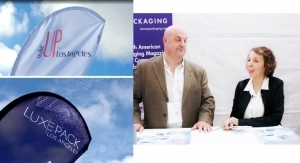 Identipak now offers new shapes for sachets and packettes. “We recently added new shapes to our tooling kit, so we can now offer brands even more size and shape options,” Garrett says. Paket Corp. also offers die-cut shapes for packettes. 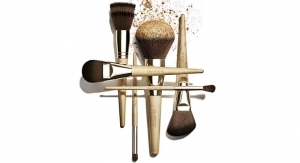 “Beauty brands are willing to spend more on design; they don’t just want to throw a product in a pouch,” says O’Malley. 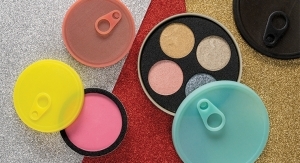 “Brands want to make sure colors and shapes match a product’s full-size package, to maintain a close connection between the retail item and sampler,” he explains. Livcer offers a wide variety of sampling options, which all emphasize design. “Design has a very important place in the world of sampling. 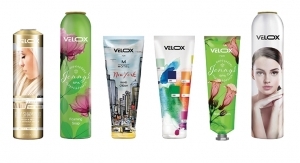 We offer our customers many ways to create a sampler that mimics the look of the full-size product,” says de Livonnière. “It is important for brand imaging to remain intact on the sample packaging,” she adds. Details matter, de Livonnière advises. 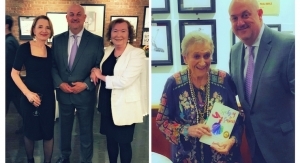 “Details such as the marketing copy and the quality of the card’s paper stock convey a message about the brand,” she says, adding that Livcer’s network of printers and its production team work together to meet the varying needs of its customers. Aptar’s Given says a sampler has to make a good first impression, since it is the first time the product is “meeting” a potential customer. “It is crucial for a brand to utilize the space on a sample package to convey what makes the product special, to entice the customer to try it,” she explains. Sampling budgets vary, but there are small things a brand can do that are cost-effective that can make a difference, Given explains. “Indie and legacy brands know this—they don’t have big budgets, but they have caught on quickly that presentation is key,” she says. It is important to ensure a sampler delivers a positive user experience. This is achieved by making sure it works properly, and that it will spray, pour, or squeeze, effortlessly. 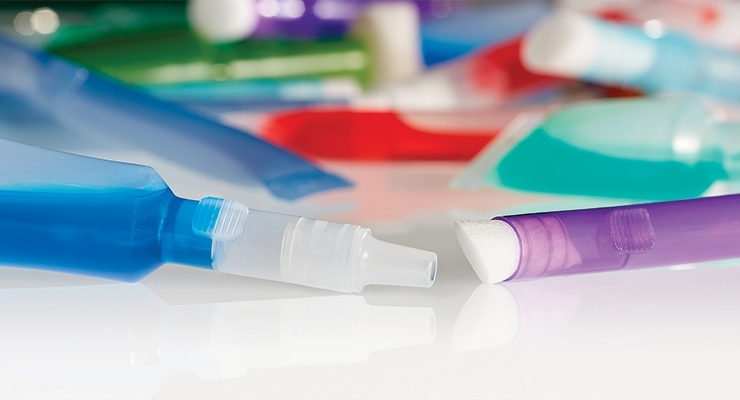 More suppliers are finding ways to incorporate all types of applicators in sample packaging, as well as closures that will ensure a product properly dispenses, and reseals. “A sampler’s mission is to get the consumer to experience your formula, so the most effective ones will duplicate the experience the user gets when using the full-size package,” says Jonathan Needham, consultant, Blisspack. “If a sampler can do that, it has succeeded in its mission,” he adds. Blisspack’s mascara sampler is shown on page 40. 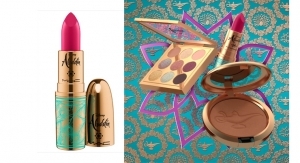 The company also offers a lip palette, and brands can include an applicator. 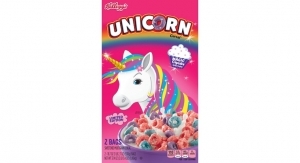 “Multi-use sample packages that enable the consumer to experience the product multiple times will reinforce their commitment to purchase the full-size product,” Needham adds. Identipak offers lots of options for sampling all types of products, and the company says it ensures they are user-friendly. 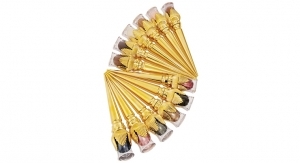 “We can put mini mascara brushes into packettes with mascara, or add lip brush handles for easier lip gloss sampling. More brands are requesting sample packaging with these features,” says Garrett. “Applicators can be cost-effective in sample packaging; they make the product easy to apply—and look super cute,” she says. Qosmedix recently introduced a cleverly designed sampler—the Spout Pouch, with a tamper-evident screw cap. 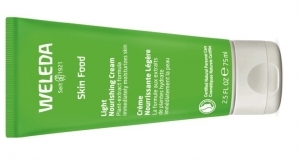 “This is a food-grade pouch that is perfect for sampling foundations, lotions, serums or other liquid-based formulations,” says Sternschein. The Spout Pouch is made from a flexible MOPP material, which adjusts to hold any capacity up to 10ml/.34 oz. “Our customers have had a tremendous response to this item for counter sampling because of its unique look. 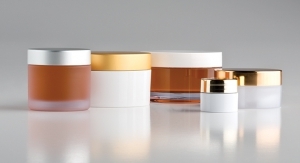 It stands out from the traditional sampling jars often being used at cosmetics counters,” explains Sternschein. Consumers often appreciate sampling products in larger packages, without committing to a full-size. Travel size minis are typically sold as stand-alone products. It’s a 10 Haircare sells mini versions of its top performers, in bottles and tubes. The brand says they serve the same purpose as sample packaging. 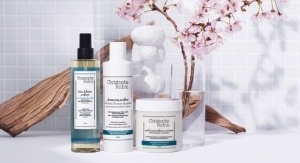 Their customers buy them to try different products, and frequently return to the brand’s website to purchase full-size products. 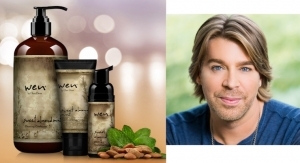 “Our customers also buy them to keep their favorite hair styling products in their purse. They love the minis,” says Jeff Aronson, president, It’s a 10 Haircare. It’s a 10’s miniature tubes and bottles look identical to the brand’s full-size packages. “You always want your brand associated with your sample, or mini. It was important for us to make ‘mini replicas,’ ” says Aronson. “There are times, however, when a packette is more applicable, for sampling purposes, so we die-cut our packets to resemble our bottle shapes,” he says. 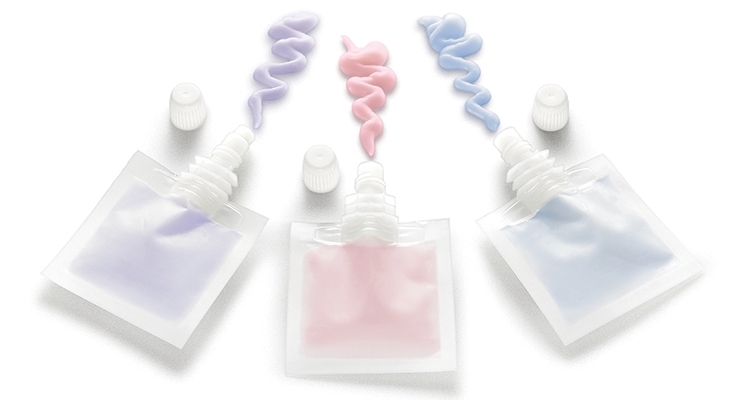 Hair care brands often require a range of sample packaging, in addition to mini travel size bottles and tubes. Samplers for hair care and hair styling products need to accommodate different types of products with different viscosities, in different sizes. 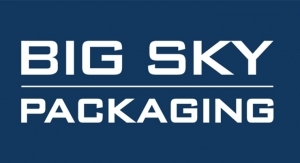 “We see a lot of brands using tri-packs,” says Paket Corp.’s O’Malley. 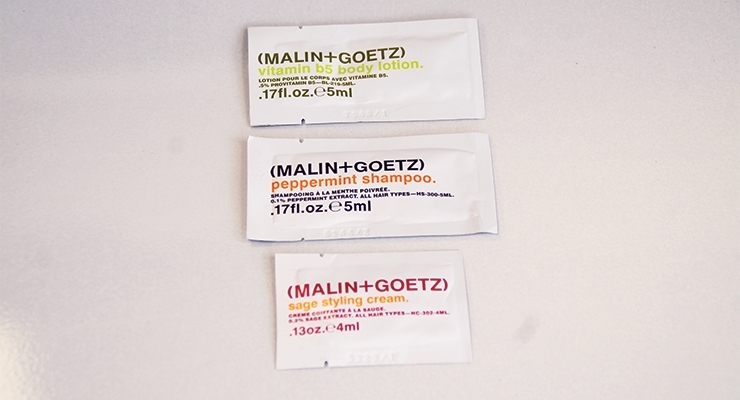 “These might be used for a shampoo, conditioner, and styling product, for example.” Paket Corp. produces the sample packettes for Malin + Goetz, including a tri-pack. “They have done several types of sample packettes with us,” adds O’Malley. Producing packettes for different types of products at one time will keep costs down. 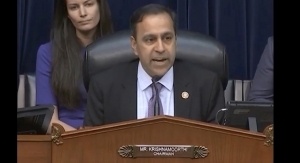 “We can ‘gang-run’ the printing and filling, for multiple samples. Sometimes this only requires changing one plate for the product description, because base colors and logos will stay the same,” explains O’Malley. Cross-marketing is a popular tool, according to O’Malley. When a sampler is designed to accompany a different full-size product, a brand is able to target its own customers when introducing a new product. “Using a hanger hole, you can attach a 1-oz. sample packet to the top of a bottle cap,” O’Malley says. 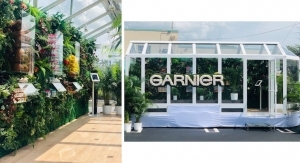 Since they are already fans of the brand, they are likely to try the new product. 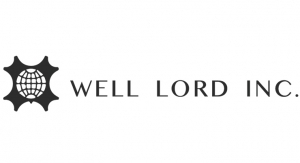 “Including a coupon will further entice the consumer to purchase the product being sampled. Printing the coupon right on the sampler is another way to keep costs down,” O’Malley explains. Blisspack has an option that may be ideal for a hair care brand—the Sample Tube Blister. “It has an injection-molded flip-top cap, which allows it to be used multiple times, so it is perfect for travel,” says Needham. “It is a more cost-efficient sampler than minis. And, it could accommodate all types of products, and would be a game-changer for hotel amenities,” he says. 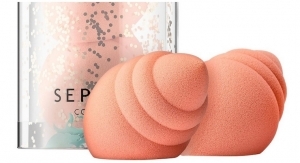 Beautyblender, the company known for its iconic egg-shaped applicator sponge, recently launched foundation makeup, and Arcade Beauty created a sampler for the big reveal. 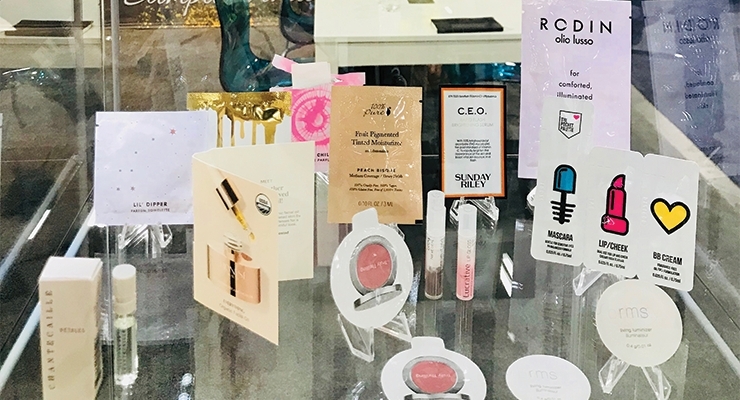 “Our patented Fusion Pack technology made its debut with Beautyblender in the beauty subscription boxes Sephora Play box and Birchbox,” says Arcade Beauty’s Bernardone. 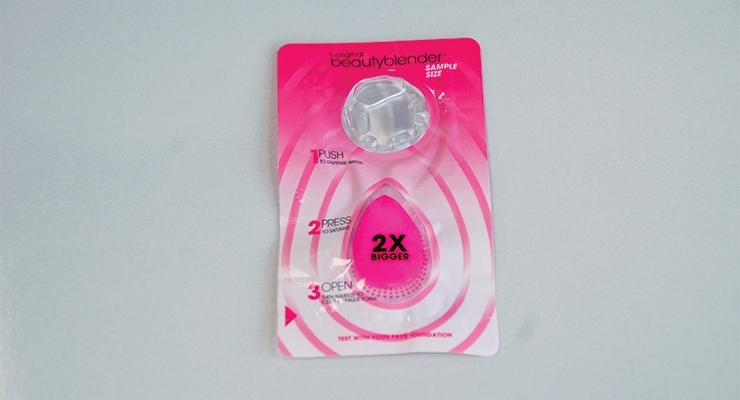 “The sample was also a main attraction at recent Beautyblender pop-up shops in NYC,” she adds. The innovative sampler is designed with a water chamber. Putting pressure on this spot activates it, forcing evacuation into the secondary chamber where the Beautyblender applicator is housed. The applicator becomes saturated—and is then ready for foundation application. “It creates an authentic user experience,” says Bernardone. The Fusion Pack is ideal for dual-activated formulas. “The formula only activates when needed, and the potency of the actives is maintained, resulting in a fresh mixture every time,” says Bernardone. 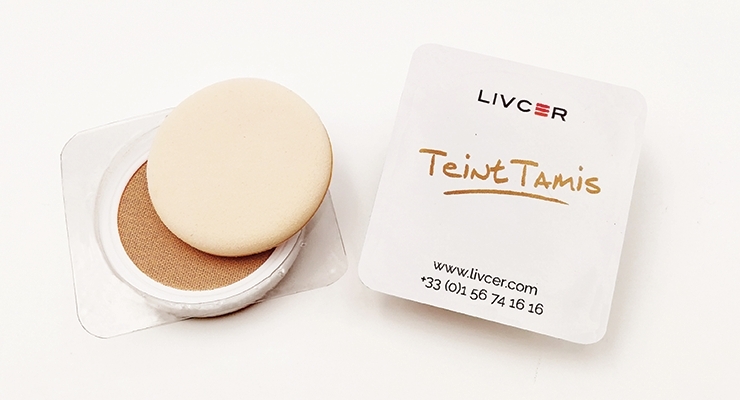 Livcer also offers a solution for sampling foundation—Cushion Tamis. “Liquid foundation is deposited in the bottom of the sample, with a cloth sieve on top and an applicator sponge placed above. The sample package is hermetically closed for a single use,” says de Livonnière. The goal when developing Cusion Tamis was to reproduce the gesture of the larger size product in the same way, says de Livonnière. “The sieve protects the formula from light and dust. A small amount of pressure on the net releases the foundation for absorption, on the applicator,” she explains. The most effective way to sample mascara is to include a quality brush, so the user can achieve the same results as using the full-size version of the product. 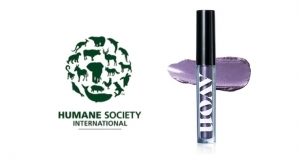 Urban Decay uses a mini bottle and brush for its Perversion Mascara sampler. 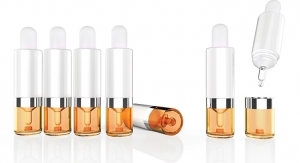 The 3ml bottle has a sturdy cap, which closes tightly, for multiple uses. 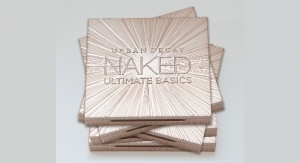 UD’s mini bottle is attached to a card, which describes the mascara—and also the benefits of using it with UD’s Perversion Lash Primer. On the back of the card, the brand’s eye pencil and several eyeliners are mentioned. 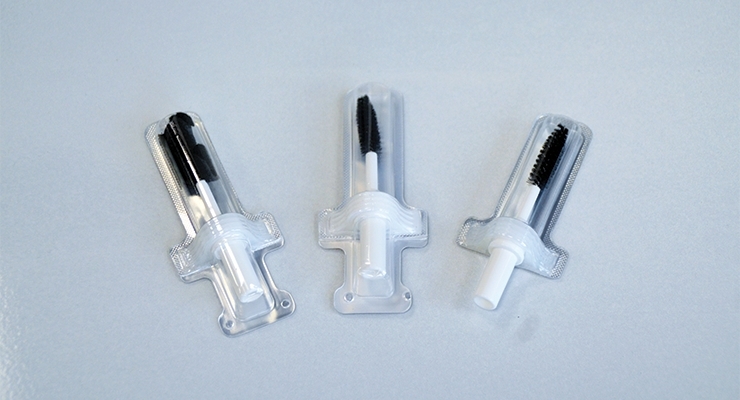 Instead of a bottle and brush, Blisspack’s tube blister provides brands with an alternative option for sampling mascara. Produced using the supplier’s blister package technology, the sampler is innovative because it incorporates injection-molded parts. 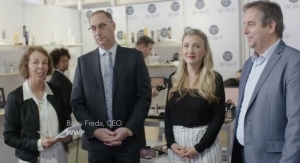 “We can incorporate your formula, your brush, and your wiper system, because these are critical for a mascara’s performance,” says Needham. To use this sampler, peel back the top part of the blister to reveal the applicator’s handle. 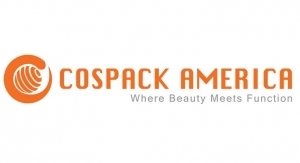 Blisspack’s tube blister can also be used for other products, such as lip gloss or concealer,” Needham adds. The package is resealable, so it can be used several times. 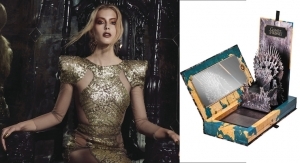 Livcer also produces a thermoform blister for sampling mascara. Guerlain worked with the supplier, and its sample package comes complete with the brand’s pink brush. 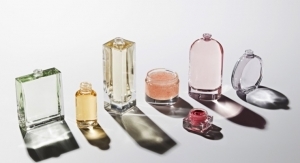 Some fragrances are packaged as ‘minis,’ in bottles that are replicas of a brand’s full-size version—or in spray vials. A spray vial gives the user enough juice for more than one use. Many e-commerce brands use spray vials to sell fragrance sample sets, and the price is reimbursed if a full-size bottle is purchased. 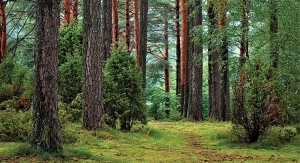 Aptar offers a range of options for sampling fragrance, in all sizes and shapes. Aptar’s Easy Spray is a cost-effective mini sprayer with a metal-free pathway. “It is our most popular sampling solution,” says Given. It is available in plastic in 1.2ml, and in glass in 1.5- or 2ml sizes. Aptar’s Replica Stilo is a larger, purse spray, so it is more of a mini or travel size than a sampler. It is customizable and refillable, with screw-on or snap-on collar options. Aptar’s Imagin is a flat mini-sprayer that is U.S. Postal Qualified, which makes it ideal for magazine inserts and brochures. There are six sprays per package. 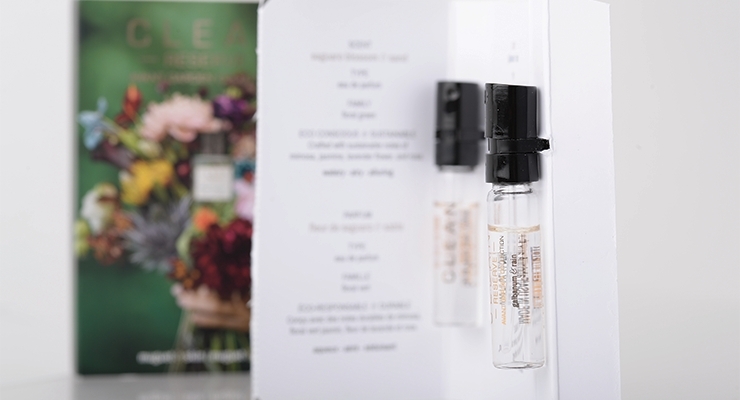 Clean Reserve sampled its Avant Garden fragrance collection using Aptar’s Easy Spray and Clip Card. The Easy Spray sampler is designed to attach and securely lock onto a decorative card, so there is no risk of accidental priming. The patented design ensures that the sprayer doesn’t separate from the card, which contains all the information about the product. 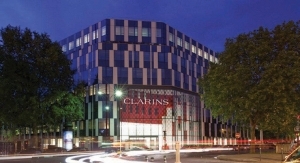 “It keeps branding intact, through the distribution channel,” says Aptar’s Given. Easy Spray with the clip can also be used on cards of almost any shape and in a range of materials. Paket Corp.’s O’Malley says he is looking into offering a towelette to sample a fragrance. “The user would open a pouch, take out the towelette, and ‘wipe’ the fragrance onto their skin,” he says. Klocke also offers an innovative sampling solution for fragrance brands—the ‘Fragrance Bubble.’ The thermoform blister has a snap-open feature, and it can be assembled onto a printed card. “It is a one-time use sampler, and is less costly than a traditional vial,” says Gabilanes. “It is requested more often lately,” he adds. 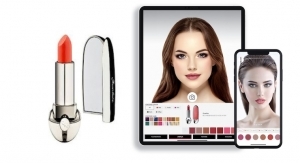 Lip color can be a challenge to sample, but several suppliers offer solutions. Klocke says its proprietary technology allows its customers to fill multiple products at one time. “Including multiple products enhances the value of a lipstick or lip gloss sampler. For one beauty brand, we created a sampler with nine shades of lip color on one card. 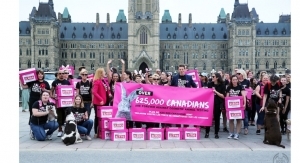 This was significant as it allowed them to sample a much larger demographic,” Gabilanes says. Livcer offers several solutions for sampling lip color. “Lip makeup has become our specialty,” says de Livonnière. “From liquid gloss to very compact lipstick, we are able to package almost any formula,” she says. The supplier also recently developed a new way to sample lip color that contains a moisturizing balm in the center of a bullet. The moisturizing balm is in the center of the sample, with the lip color around it. 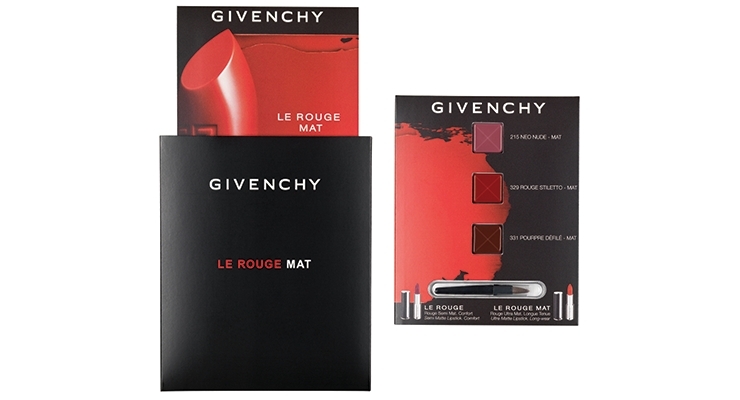 Livcer created the sampler for Givenchy Le Rouge Mat lipstick, which is a card that contains three different lip colors, with a brush. 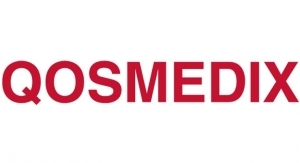 In addition to sampling lip color and hot-pour formulas, thermoformed blisters are often used for unit-dose packaging. Unit-dose packaging is ideal for skincare regimens, when a brand wants the product packaged as single doses. It is also useful for sampling different types of cosmetic and skincare products. 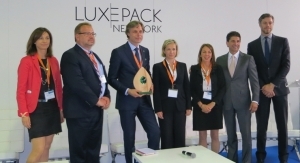 Unit-dose packaging is getting very sophisticated, according to Klocke’s Gabilanes. “The most significant trend is single-use packages that are designed to interact with the user. Our new Heat ’N Dose system, Mix ‘N Dose, and Apply A Dose packages answer this demand for engagement,” he explains. Klocke’s Mix N’ Dose system shows the product mixing, in the blister, before it dispenses. “This interactive system allows the user to mix two or more cavities of product at the time of use, to activate the formula. It is ideal for certain product formulations that may be difficult to sample,” says Gabilanes. Klocke’s Apply A Dose package allows the consumer to “snap and dispense” the product at time of use, without touching it, while the new Heat ’N Dose system will heat it before use. The Heat ’N Dose system uses a “heat engine,” powered by Exothermix, which has been engineered with preset heat and time constraints. Approximately three minutes after being activated by the user, the consumer dispenses the heated product for use. “This system allows you to manage the consumer’s experience with the product. You can affect the texture, viscosity, color, and/or enhance the performance of your product through the use of heat,” says Gabilanes. 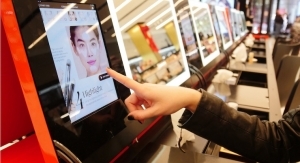 The supplier anticipates that its new technology will be used in different markets, including skincare, hair care, personal care, and cosmetics. “This new technology can be used not only for unit dose/sampling, but an entirely new retail SKU,” Gabilanes adds. 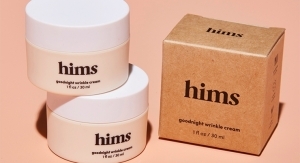 Some skincare brands utilize unit-dose packaging, and are inspired by some of the styles and “clinical” design aesthetics seen in the healthcare and pharmaceutical industries. James Alexander makes a plastic unit-dose dispensing system and ampoule that combines style and ease of use through single-handed activation. With just a gentle squeeze, the inner membrane ruptures, dispensing its contents. The plastic ampoule is available in a range of sizes, colors and versions. The company also produces unit-dose swabs, which offer the stability of glass in one- or two-part systems, which allow for convenient application of pharmaceuticals and health aids. A leaky mini bottle, a broken actuator on a spray vial, or a messy packette are frustrating. When a sample package fails, the consumer probably won’t ever purchase the full-size product. Specific formulations might cause compatibility issues with sample packaging, resulting in some issues. Serums and oils, which are popular in skincare, require some extra planning and testing before choosing samplers. “Oil-based products, or any type of product that contains high percentages of essential oils, can pose a few challenges, especially in a packette. We have to make sure we match up the right type of film structure to ensure its compatibility with the product,” says Paket Corp.’s O’Malley. 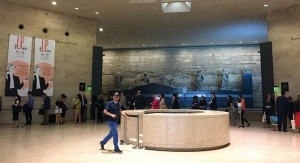 In June 2018, PLAY! 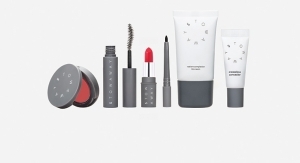 by Sephora began offering PLAY! SMARTS, a single-purchase box focused on a specific theme created for the client who wants to learn more about a particular category or skill. This new PLAY! 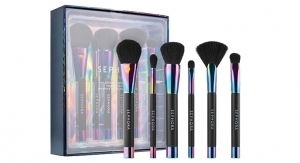 offering is available for $20 per box on Sephora.com. Each subscription beauty box contains six deluxe samples and informational cards about the products and theme. Upon purchasing, clients are invited to watch a live product application demo and interact via chat with the presenter. Each PLAY! SMARTS Box has a specific theme. This newest PLAY! SMARTS box is “Skincare by Age” for three different age groups; 30’s, 40’s and 50+. 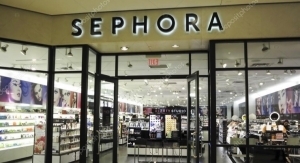 Clients have different skincare concerns, needs and wants, and Sephora strives to provide each client with unique offerings to them. This box will be available starting September 7th. When purchasing a PLAY! SMARTS box you will also receive a unique, on-theme beauty bag and SMART PASS worth 50 bonus Beauty Insider points. 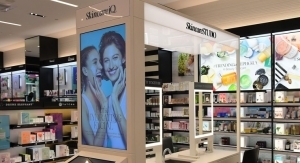 Differentiation is key to beauty sales, and suppliers continue to find the white spaces that will attract consumers. 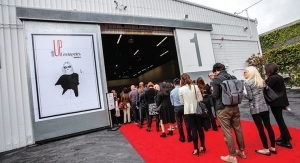 Right-sizing is the secret to this brand’s rapid success. Diminutive, sample-sized packages can take many forms and fulfill a broad variety of roles at market. New technology and sophisticated packaging configurations enable brands to distribute mini models of full-size products to help increase brand awareness and drive sales. Crowds gathered around the stage for the reception while winners were presented with trophies. 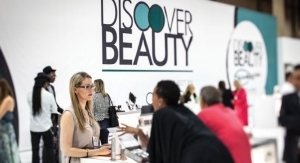 Beauty and personal care suppliers, key features and a conference session draw a crowd. 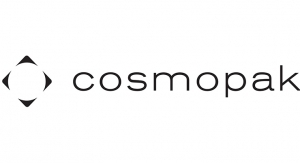 An increased focus on packaging suppliers and an added emphasis on Discover Beauty brands ups the ante for beauty excitement at Cosmoprof North America in July. 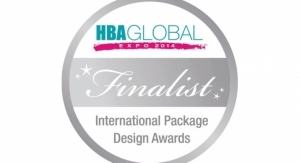 Winners will be revealed at HBA Global on June 11 in New York.